Dr. Rajko Herrmann | Littler Mendelson P.C. 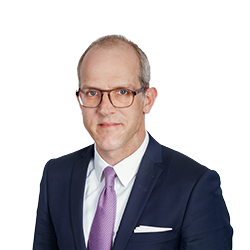 Dr. Rajko Herrmann advises his national and international clients on all areas of individual and collective employment law, including litigation before the courts at all levels. He has considerable experience in restructuring and redundancies, as well as the law relating to labor management and co-determination. He provides employment law advice on the incorporation of European companies and all types of transactions. His clients include companies in the aviation, logistics, IT, software and media industries. Before joining vangard, Rajko worked for many years for an international law firm and became partner in 2010. He was admitted to the bar in 2003 and is a specialized lawyer (Fachanwalt) for employment law in Germany. He publishes articles regularly and gives seminars on various employment law themes.